Georgia is the country that is attractive not only for tourists but also for the terminators. Although the Internet industry here has a number of drawbacks, experts say it is developing rapidly. Based on the number of users and the quality of the Internet, Georgia has much higher performance than other post-Soviet countries. According to the latest data, 1.3 million people of the 4 million population use the Internet, which is 28%. At the same time, 197,000 people use DSL-technologies. 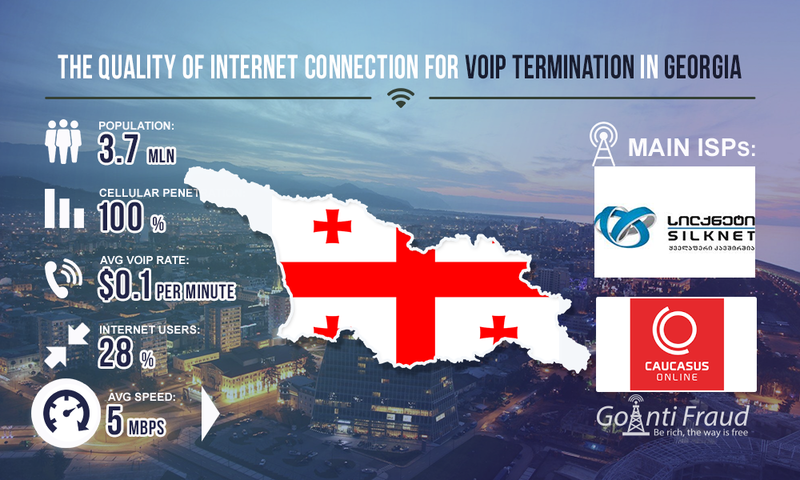 More than half of the specified number of wired Internet users is the population of the capital, all the rest are the residents of Batumi, Kutaisi, Rustavi and other settlements. But despite all of the above factors, the number of Internet users, as well as the number of providers is growing. According to experts, as of 2009, there were 20 Internet service providers, competing with each other. Later, Caucasus Online and Silknet, the two major providers, shared the market. Caucasus Online was a major player in the Internet market in 2009 - 2011 year since it combined the 3 providers - Sanet, Caucasus Network, and Georgia Online. And by the end of the year, it took 95% of the market. Later, however, the situation leveled off, and the two companies, Caucasus Online and Silknet, cover almost equal market shares. However, over the last year, users give preference to "Ahtel", "Akhali Kselebi" and "Central Communication Corporation of Georgia." Terminators, of course, ask the question: what internet package is the best one to terminate calls? After reviewing all the companies' proposals on the DSL, it can be concluded that the most advantageous to do VoIP business in Georgia will be "Econom 3 Mb/s" from Silknet. You can connect to the above tariff plan for as little as $10.39 per month. At the same time, many order packages that provide a higher rate from 3 to 5 MB/s. The "Standard" tariff plan from "Akhali Kselebi" provide such conditions. However, the cost of the package from the company is $3 more expensive. By the way, VoIP cost per minute in Georgia is $0.1381. A terminator can already make $1,000 in the early stages.